This year we have been lucky to have a relatively mild fall. And by that I mean it hasn't snowed yet this year. But last week the weather took a turn for the 'very chilly' and I finally went through all of my heavy sweaters and cleaned and organized them. Since I am getting back into my non maternity clothing it's nice to wear some of them again. Some sweaters I have had so long, I get them out and they feel like old friends. I remember making Christmas cookies while wearing one or wearing another when I went sledding with my daughter. They keep me warm and cozy so the last thing I want is for the color to fade or for them to shrink or become stretched out. So I care for them with Dryel. 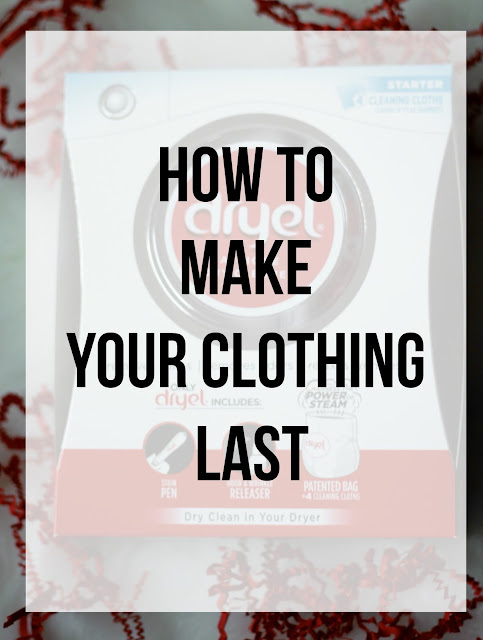 It's really simple and I know that Dryel won't shrink, stretch, or fade any of my sweaters (or any clothing for that matter). 1. Examine your items and treat them if necessary. Pretreat any stains with the booster spray. 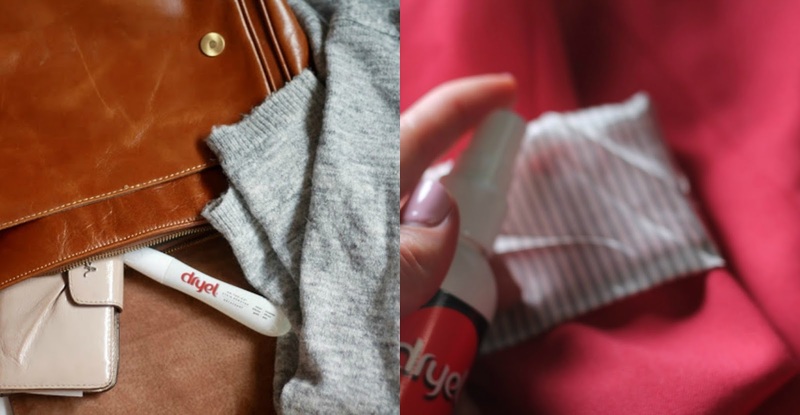 Dryel also makes a stain pen that is safe to use on dry clean only garments. I keep one in my purse and my desk so I can immediately treat stains. 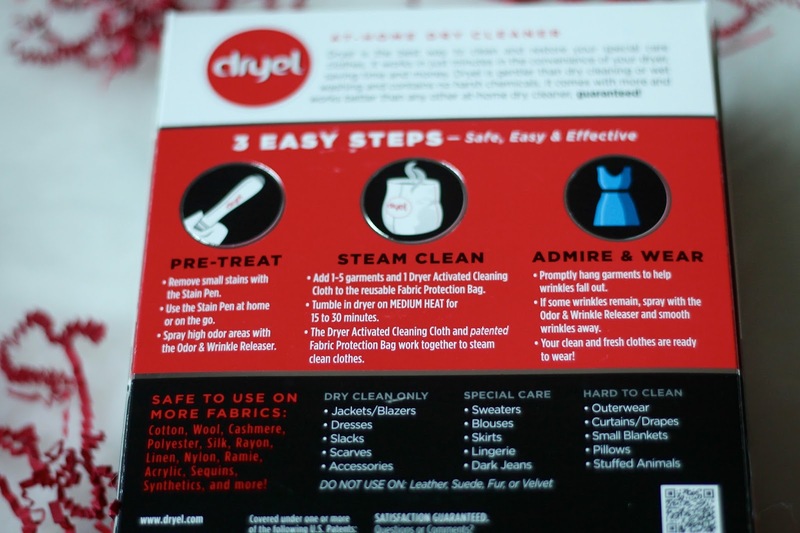 Once you've pretreated the stains and soiled garments with the booster spray and Dryel stain pen, put up to 5 garments in the Dryel fabric bag with a cleansing cloth. 2. 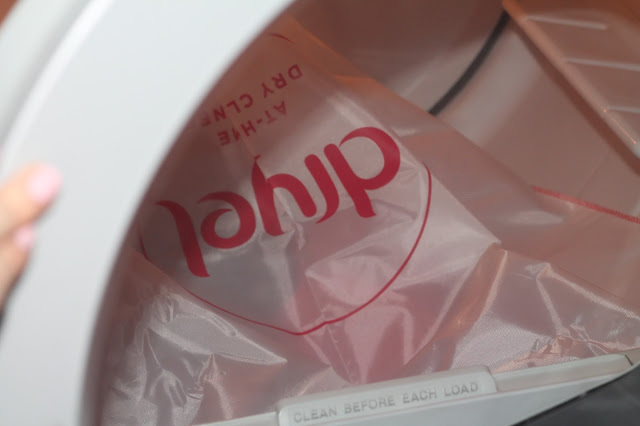 Place the fabric bag into the dryer for 15 minutes to refresh or 30 minutes to deep clean the items. Personally I always like 30 minutes for that deeper clean. If I am using a cleansing cloth and setting the dryer, 30 minutes isn't that long so I want my garments as clean as possible! 3. 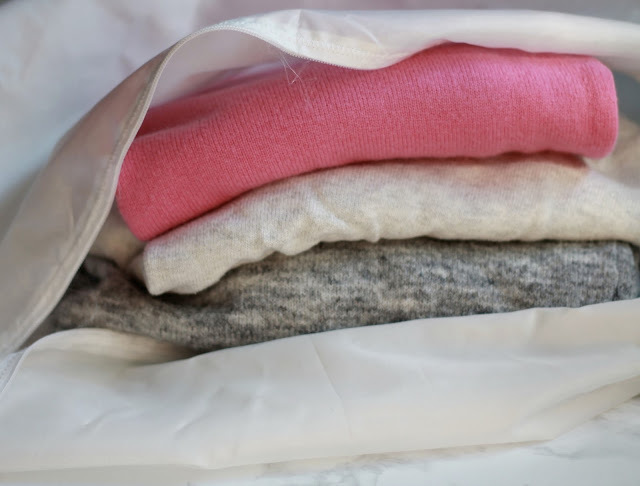 Once the dryer is done, pull your garments from the bag and hand immediately to help alleviate any wrinkles that may have occurred while in the fabric bag. And that's it! Enjoy your clean, dry clean only clothing that hasn't stretched out, faded, or shrunk in the wash! 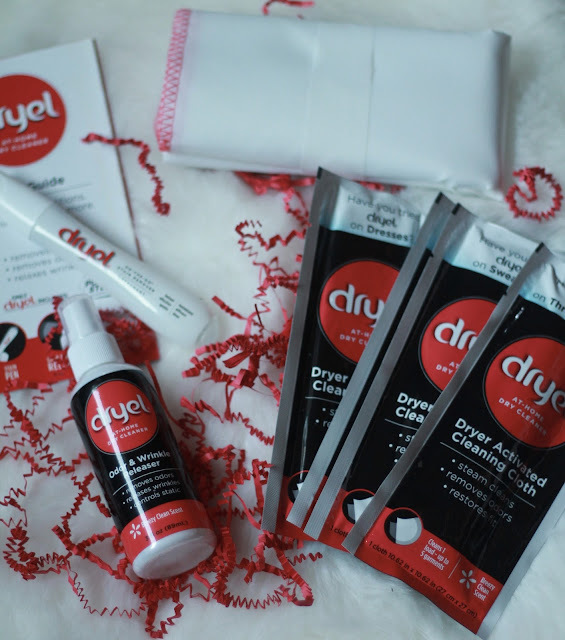 When shopping for Dryel, make sure you look for the brand new packaging! It's got a new, modern look that really stands out when you are looking for it in stores. It's so cute that it looks like a dryer, too. I love that! But don't worry, it's still the same great product and value for you. The best part though? It now contains a FREE Stain Pen ($4 value!). I keep one in my purse, car, desk, and diaper bag. They are great! 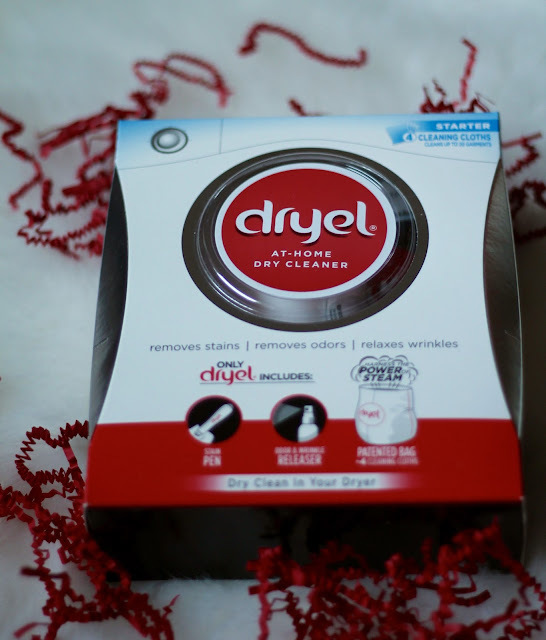 The new Dryel even has a New Odor & Wrinkle Releaser and longer lasting scent. Just when you thought Dryel couldn’t get any better – it did! Expect to see it in stores this month! 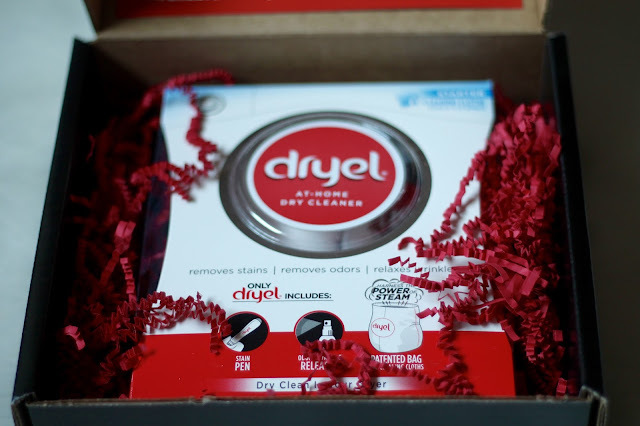 Thank you to Dryel for sponsoring this post. All thoughts and opinions are my own. Nice! Have a great weekend! I used to use dryel and stopped - mostly because I stopped buying dry clean only clothes. But it's a great tip to use it for other items too. I need to give Dryel a try! This would help with all the holiday clothes I need to clean. I need to get some of this! I've purchased some sweaters this year that I don't think will hold up well in the wash but I also don't want to spend a fortune on dry cleaning, either! I've never heard of Dryel! 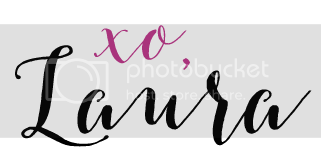 I could definitely use this for some of my work clothes! I love that they are including the stain pen too!! I don't need to do a lot of dry cleaning, but anything that will save me a trip out is worth it IMHO!! This looks like something I would def. use! I wish we had things like this here in Australia - then I wouldn't be so scared to wear or buy dry clean only clothes, haha! I got rid of a lot of them after having babies! Two little toddlers is just too messy! I'm excited it's nearly Christmas! With most of the wrapping done and just waiting for the last gifts to arrive in the mail, we are trying to have a relaxing weekend as next week will be so busy! Hope you're having a great weekend! I love dryel and use it almost exclusively on dry-clean only items. It's a lifesaver for sure! I love not having to stop wearing dry clean only things out of fear I'll get them dirty! Good idea to use this to help make things last. I have some favorite sweaters too that I definitely want to keep from year to year. I've never seen this product here in Switzerland. This is helpful. This sounds amazing. Haven't heard of this product, but looks really promising. Would love to give this a try. Thanks for sharing dear. I ordered Dryel a few weeks back and have yet to try it ! Most likely at the end of the holidays.